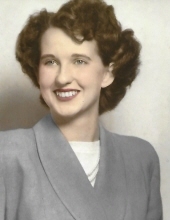 Mary Dell Poore, 84, of Lucedale, MS passed away on Monday, January 28, 2019 in Mobile, AL. She was born October 7, 1934 in Movella, MS.
Mary was preceded in death by her husband, William “Billy” Poore, and parents, Odell (Keith) Orrell and James Cecil Johnston. She is survived by her two daughters, Wanda Allen of Lucedale, MS and Diane (James) Spraberry of Lucedale, MS; grandchildren, Wade (Angela) Spraberry, Kyle (Elizabeth Schaffer) Spraberry, Joshua (Andrea) Williams, and Hayley (Jason Caver) Allen; sister-in-law, Beverly Loper; brother-in-law, Troy Poore; nephews, Clyde, Tommy, and Billy (Elaine) Poore; and great-grandchildren, Ethan Spraberry, Eric Spraberry, and Elyse Spraberry. In addition, she will be sadly missed by neighbors, friends, her church family of Hurley Baptist Church, and a host of young people who thought of her as their grandmother, and who she nurtured, fed, and loved through the years. Visitation will be held on Saturday, February 2, 2019, from 10 a.m. until 11 a.m. at Heritage Funeral Home in Moss Point, MS. Funeral service will begin at 11 a.m. in the funeral home chapel with Brother John Egbert officiating. Interment will immediately follow at Movella Missionary Baptist Church, 175 Movella Church Rd., Lucedale, MS 39452. Pallbearers will be Josh Williams, Wade Spraberry, Kyle Spraberry, Scott McCrimmon, Chris Howard, Danny Carter, and Jason Caver. Honorary pallbearer will be Doug Allen. To send flowers or a remembrance gift to the family of Mary Dell Poore, please visit our Tribute Store. "Email Address" would like to share the life celebration of Mary Dell Poore. Click on the "link" to go to share a favorite memory or leave a condolence message for the family.